And even after that you decide that it would be a good idea to mix both? Are you kidding me or is there something I'm missing? As much as I would like FTW to be successful, it's nearly impossible now you get success by mixing both solo and duo together. 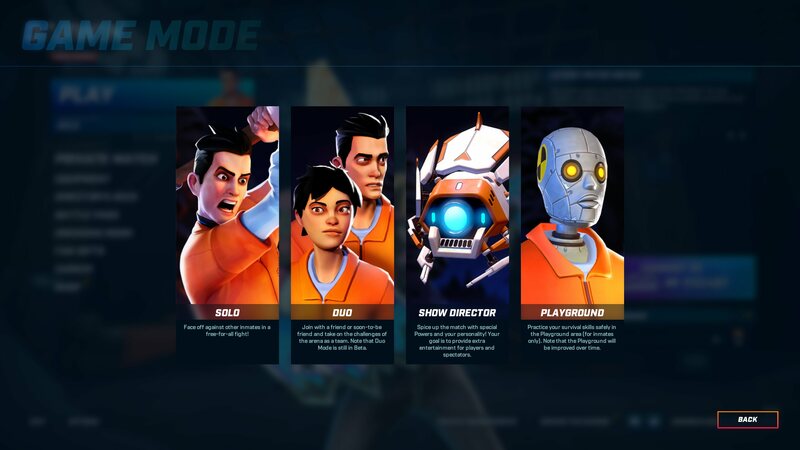 There is a game called Darwin Project and as you can see in this screenshot, solo and duo are two separate game mode. There is a reason why I don't play duo in that game unless it's with my kids. It's because my english is not up par with other players and when you play in duo, good communication is a key factor to succeed so I always prefer to play solo. Like I previously experienced in FTW, going solo is suicidal and totally a frustrating experience. Sorry to hear your disapproval of our new unified queueing system. After releasing the patch yesterday we've seen both Duos and Solo players winning matches. Having all of the loot to yourself really does make a big difference. Try giving the solo mode a go because I'm sure that you'll see you still have just as much of a chance of winning. I liked the idea. Before updating from five to six games a day, I took first place 4-5 times, or even all the matches in a row. And now everything has become more complicated and it pleases !!! When the regimes were not united and you ran up against the players that run together, it infuriated and it was unexpected. And now, entering the battle, you are already expecting to stumble upon the allies and turn on additional vigilance. In addition, in Escape from Tarkov on the map, you can run into a team of even five fighters, and this is normal. Why in Fear The Wolves you can not fight against two ?? ?